The Chief Commissioner of Railway Safety (CCRS) on Thursday concluded the inquiry in Amritsar train accident which claimed the lives of around 60 people. 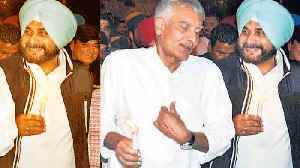 ▶ Videos for "Amritsar Train Accident"
Saurabh Madan Mithu, the organiser of the Dussehra event in Amritsar’s Choura Bazar area, on Wednesday denied responsibility of the accident in which nearly 60 people lost their lives after..
Amritsar Train Accident: Navjot Singh Sidhu caught laughing in candle march. Navjot Singh Sidhu photo is viral on social media. A picture of Navjot Singh Sidhu is getting viral on social media, in.. 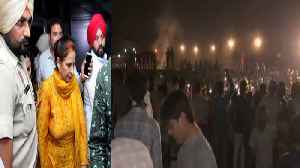 In the wake of the Amritsar train tragedy that took the lives of over 61 people on October 19, Punjab minister Navjot Singh Sidhu on Monday announced that he will adopt the families of those who died..
Navjot Kaur is constantly questioning the train accident in Amritsar. Now a libel letter has been filed against him in a court of Muzaffarpur in Bihar over the case of Navjot Kaur. Also requested to.. 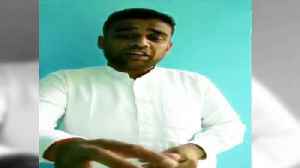 Organizer of Dusshera event Saurabh Madan Mithoo releases video message,says ' Had taken all permissions,had alerted crowd atleast 10 times to not stand on tracks. I am extremely pained by the.. 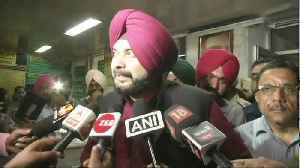 Under fire from the opposition, Punjab Minister Navjot Singh Sidhu on Sunday questioned the railways' decision to exonerate the driver of the train that ploughed through a crowd standing on the track..
Amritsar train accident is constantly being victim of politics. Questions about this incident are being constantly raised on Navjot Singh Sidhu and his wife. But now the Amritsar city's Deputy Mayor.. 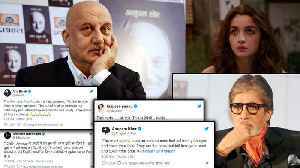 Many Bollywood celebrities including Amitabh Bachchan, Alia Bhatt and Anil Kapoor, have expressed grief over the Amritsar train tragedy which took lives of 61 people who had gone to watch Dussehra..
Former MLA, Navjot Kaur Sidhu on Saturday said that the announcements were made several times asking people to come inside Dhobi Ghat ground, where Dussehra celebrations were going..
Amritsar:After 60 people died in Amritsar train accident, Firozpur's DRM Vivek Kumar gave a Statement. According to Vivek Kumar, the driver tried to stop the train. But the driver did not stop seeing..
Dussehra celebrations turned tragic in Amritsar on Friday evening when a speeding train ran over hundreds of people who were watching Ravana’s effigy going up in flames. 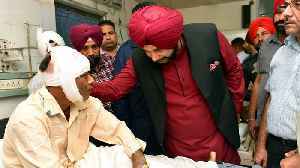 At least 61 people were..
Punjab's Minister for Culture and Tourism, Navjot Singh Sidhu visited the Guru Nanak Dev Hospital and met the victims of the Amritsar train accident on Saturday. 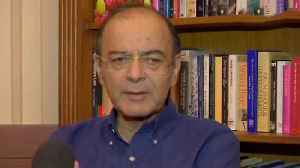 Union Finance Minister Arun Jaitley condemned the tragic train accident in Choura Bazar near Amritsar took place on Friday evening and said “An unfortunate tragedy has taken place. These five things are responsible for Punjab train accident. More people lost their lives and 72 got injured on Friday when a speeding train mowed them down while they were celebrating Dussehra.The..
Amritsar:In Punjab, a major rail accident occurred on Friday evening, in which more people died.When this accident took place on Friday evening, Amarinder Singh was present in Delhi. 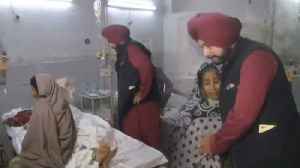 But even though..
Navjot Singh Sidhu, Punjab's Minister for Culture and Tourism visited the Guru Nanak Dev Hospital to meet the victims of the Amritsar train accident. 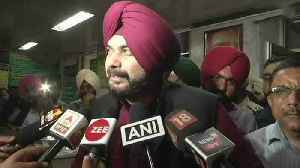 During the visit, Navjot Sidhu interacted with..
Minister of State (MoS) in the Ministry of Railways Manoj Sinha termed Amritsar train tragedy as unfortunate incident. He also informed that he is immediately leaving for the site of the dreadful..
Amritsar:Train runs over people celebrating Dussehra near Amritsar, more people dead.PM Modi tweet on this Accident. ''Extremely saddened by the train accident in Amritsar. 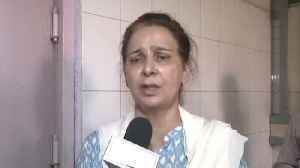 The tragedy is..
Navjot Singh’s wife continued her speech even after incident took place, says Eyewitness. Over 50 people were killed in a major train accident which took place near Amritsar’s Jora Phatak..
Shiromani Akali Dal General Secretary Bikram Majithia said that blamed Congress leader Navjot Singh Sidhu and his wife Navjot Kaur Sidhu for the tragic train accident in Punjab’s Amritsar. 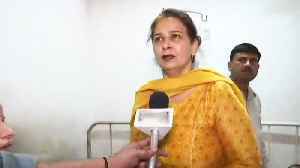 Congress leader Navjot Kaur Sidhu was the chief guest at the Ravana effigy burning event in Amritsar’s Jora Phatak on Friday.Dusshera tragedy: People doing politics over it should be ashamed,..
Amritsar:More people lost their lives and 72 got injured on Friday when a speeding train mowed them down while they were celebrating Dussehra.The accident happened near Joda Phatak area of Amritsar..
What if you are given a lever in hand to manoeuvre a multi-tonne train that can accelerate upto 100kmph within seconds on metal rails? Such is the nature of job of a train's driver also called motorman.. The death of 59 people during a Ravan effigy burning event in Punjab last week may have shone the spotlight on the perils of coming in the way of trains, but it's a way of life for hundreds near..
Punjab's Local Government Minister Navjot Singh Sidhu on Monday pointed out loopholes into the October 19 train accident while accusing the Indian Railways and the central government responsible for..
Punjab minister Navjot Singh Sidhu has declared that he will adopt the families of those who died in the Amritsar train tragedy. 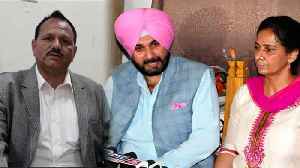 Making the announcement at a press conference, Sidhu said, “I will.. 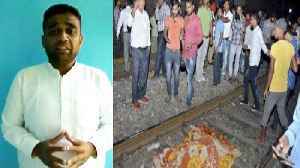 In a statement given to police as well as the railway authorities, the driver of the train, which mowed down 59 people watching a Ravan effigy being burnt on 19 October, said he had not stopped his.. The agitated protesters blocking the track were removed and train services resumed this afternoon, 40 hours after the horrific accident, a railway spokesperson said. 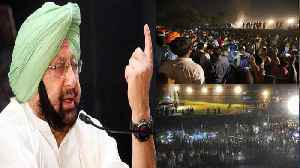 On Friday evening, a gathering of..
Punjab Chief Minister Amarinder Singh on Sunday ordered the Amritsar administration to make detailed socio-economic profiles of victims who died in the train accident on Friday. Protesters clashed with security personnel and pelted them with stones at the Amritsar train accident site after they were removed from the railway tracks, police officials said. The authorities have cancelled and diverted several trains in the wake of Amritsar train accident. Chaos reigned at New Delhi railway station on Saturday, as 34 trains were cancelled and seven more were terminated short, a day after the tragic accident in Amritsar where over 60 people watching..
CM Amarinder Singh took stock of the situation and assured the victims and deceased relatives that the guilty would be booked soon. 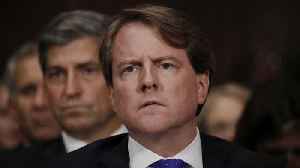 He also ordered a magisterial inquiry into the tragedy. The tragedy did not claim anyone from Golden Avenue; only those from Krishna Nagar fell prey to the calamity. “I just remember bodies of people including children flying. I later found my cousin, dead, at a distance,” a survivor recalled. Many also lost their lives in the stampede that followed the.. Families and relatives Saturday bid an emotional goodbye to 39 of the 59 people killed in the tragic train accident here that has sent shock waves across the country. 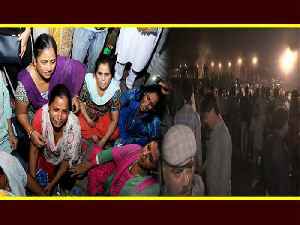 Many panic-stricken family members of those killed or wounded in the Amritsar train accident searched frantically from one hospital to another to know about the fate of their loved ones as the festive.. 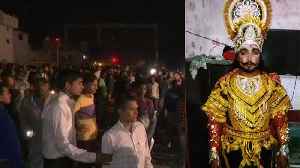 The man who played the character of demon king Ravana at the Ram Leela at Joda Phatak was among those killed in the train accident. In the video, the host says: "Let 500 trains pass by, but you will still witness more than 5000 people waiting for you on the tracks." 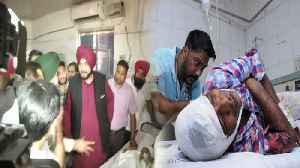 Punjab Chief Minister Amarinder Singh Saturday ordered a magisterial probe into the Amritsar train accident after visiting injured and kin of those killed in the tragedy even as he urged the Opposition.. 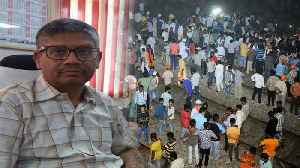 The railways was not intimated about a Dussehra event along the tracks that led to the deaths of at least 61 people in Amritsar, Railway Board Chairman Ashwani Lohani said in a statement. Amritsar train accident LIVE updates: Chief Minister Captain Amarinder Singh has announced Rs 5 lakh ex gratia to the kin of those who were killed in the accident. 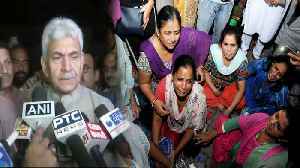 Minister of State for Railways Manoj Sinha had already said that there was no need for Railways to hold an enquiry into the mishap. 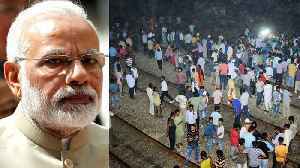 Amritsar train accident LIVE updates: Prime Minister Narendra Modi approved a financial relief of Rs 2 lakh for the family of each deceased in the Amritsar train accident and Rs 50,000 for the injured. Today's top stories: 61 killed in Amritsar train accident, Rahul Gandhi to visit Telangana today, India to play Pakistan in 2018 Asian Champions Trophy, and more. As scores of Dussehra revellers watching the burning of Ravana effigy were mowed down by a passing train near Amritsar, the disturbing video footage of the accident showed many across the railway.. The man who played the character of demon king Ravana at the Ram Leela at Joda Phatak in Amritsar was among those killed in the train accident. After he enacted the role of Ravana, Dalbir Singh, in his.. He is survived by his mother, wife and an eight-month-old baby. 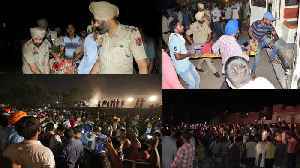 A speeding train ran over a crowd watching fireworks during Dussehra celebrations in Amritsar on Friday evening, killing 61 people and injuring dozens more. Punjab Governor VP Singh Badnore and Cabinet..
A tragic train accident in which over 60 people died became a political blame game with the Opposition holding Punjab's Congress government responsible for allowing a Dussehra event near railway tracks..
Farhan Akhtar, Taapsee Pannu, Swara Bhasker, Kapil Sharma, Diljit Dosanjh, Ajay Devgn and several other Bollywood and television celebrities took to Twitter, on Friday, to express grief and shock over..
Prime Minister Narendra Modi Friday approved a financial relief of Rs 2 lakh for the family of each deceased in the Amritsar train accident and Rs 50,000 for the injured, a spokesperson said.